Plans to prolong the holiday season could make Greece a 365-day destination. It’s termed the holiday season, but spending Christmas in the UK isn’t everyone’s idea of a restful break. The options for sunshine in December are extending, though, with seasonal European resorts taking the leap to open year-round. Greece in particular is leading the way, with a drive to boost off-peak tourism. Last winter, 100 hotels on popular island Santorini stayed open. Based on the demand for beds, more properties are following suit this year. Mild temperatures, ranging from 10C to 17C in December, and fewer crowds are likely to attract tourists who might be seeking an alternative to classic mid-haul winter sun destinations such as the Canary Islands. Celebrations are also set to be more colourful than those at home. 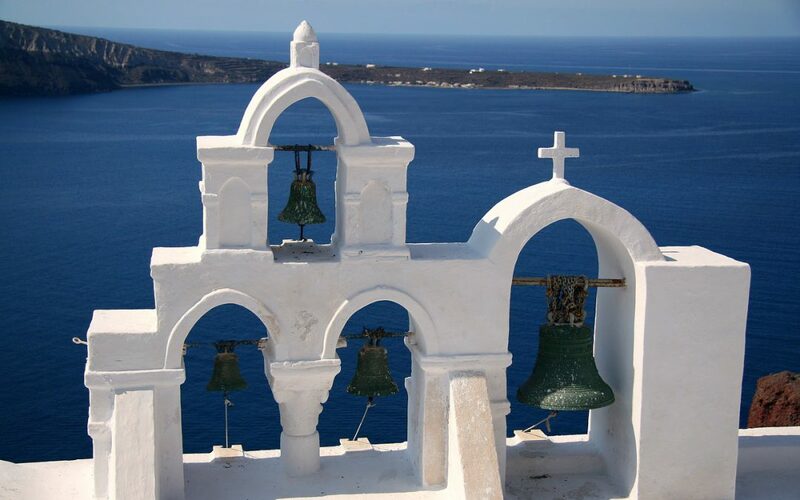 Kountoura promises the residents of Santorini also have many festivities planned to welcome tourists this Christmas. The move to prolong the holiday season is being mimicked in other islands and on the mainland, although Kountoura admits it’s a ‘slowly but surely’ process. So could Greece become a year-round destination? Despite negative press surrounding the migrant crisis on islands such as Lesbos, the number of British tourists visiting Greece is on the rise. “The UK is the second traditional market for us,” emphasizes Kountoura. This year, the shoulder season period of February, March, April and October saw a significant growth in passenger numbers. While 59% of the 2016 holidays taken in Greece were in the summer, March saw an impressive 114% rise. December and January are also growing, but at a much slower rate. This is largely due to the limited availability of winter programmes through tour operators. Most tourists during this period are travelling independently. Another fly in the ointment to expanding winter tourism in the islands is the lack of direct flights. But Kountoura is confident this will change, and predicts a 20% increase in the number of direct flights from the UK in the next few years.